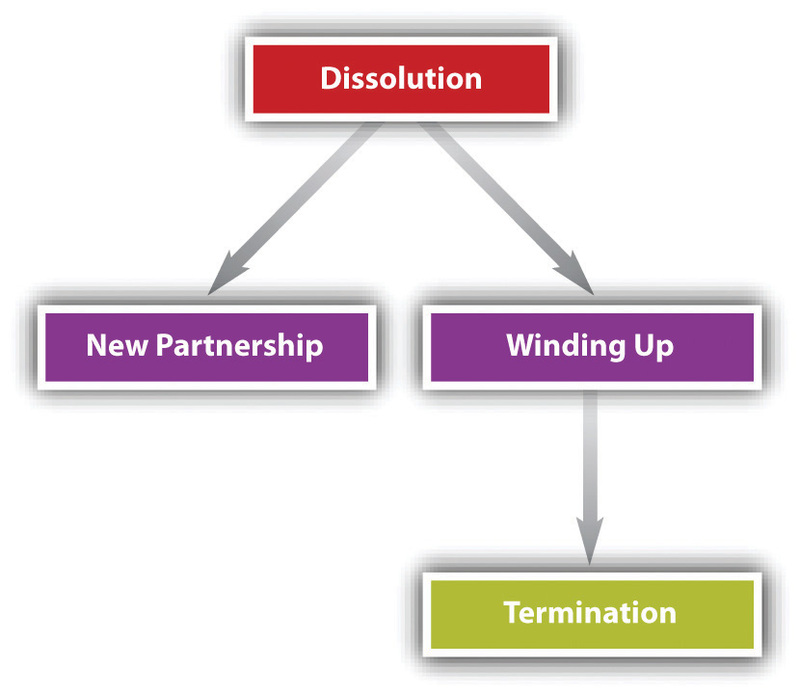 This is “Partnership Operation and Termination”, chapter 21 from the book The Legal Environment and Foundations of Business Law (v. 1.0). For details on it (including licensing), click here. After a partnership has dissolved, it can follow one of two paths. It can carry on business as a new partnership, or it can wind up the business and cease operating (see Figure 21.2 "Alternatives Following UPA Dissolution"). An agreement can spell out the order in which liabilities are to be paid, but if it does not, UPA Section 40(a) and RUPA Section 807(1) rank them in this order: (1) to creditors other than partners, (2) to partners for liabilities other than for capital and profits, (3) to partners for capital contributions, and finally (4) to partners for their share of profits (see Figure 21.3 "Priority Partnership Liabilities under RUPA"). However, RUPA eliminates the distinction between capital and profits when the firm pays partners what is owed to them; RUPA Section 807(b) speaks simply of the right of a partner to a liquidating distribution.